Global Running Day - we couldn’t think of a more perfect day to kick-off celebrations for the 25th running of the Eversource Hartford Marathon! This Global Running Day (Wednesday, June 6), we will use all of our energy and rally together to foster our love of running to benefit local kids. Donate online HERE and run anywhere you want on June 6. You’ll be emailed the link for a downloadable bib to show that you supported sending a student to the race! Take a selfie with your downloadable bib, share it with us on social or email it by June 7 for a chance to win a 25th running prize package (race entry, training shirt and commemorative pint glass). Take a selfie at the event, share it with us on social or email it by June 7 for another chance to win a 25th running prize package (race entry, training shirt and commemorative pint glass). Plus – throughout Global Running Day, get 30% off of all Eversource Hartford Marathon race merchandise in our SHOP, just use code MARATHON30 at checkout. Thank you for supporting local kids and joining our Global Running Day celebrations! Together, we can help kids to be healthier, happier and become lifelong runners. We love Simsbury for its charming town center, quaint shops, wonderful restaurants and, of course, the great space to hold a race! If you're coming to town for the Amica Iron Horse Half Marathon, 10K & 5K on June 3, don't miss the latest attraction, the Simsbury Art Trail! Walk down any Main Street and you’re likely to see people doing ordinary things: reading a book, walking the dog, relaxing on a bench. But you'll need to look a little closer in Simsbury, many of these “people” are actually lifelike bronze sculptures created by artist Seward Johnson. "Life In Simsbury: A Public Art Trail" has been brought to town by the Chamber of Commerce and consists of 32 sculptures, which are sponsored by local businesses. The statue by Abigail’s Grill depicts a man with a cigar reading an actual oversized menu from the restaurant. The Simsbury Historical Society is sponsoring a statue of Claude Monet standing in front of a painting showing some of the society’s buildings. 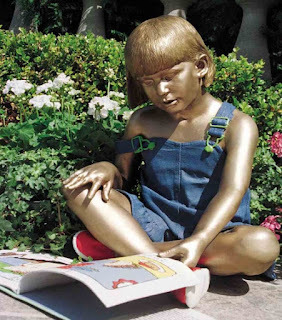 The artist has created 400 sculptures that have been placed on Main Streets across the country and the world. "Hosting an event of this magnitude requires an incredible commitment from the entire town and everyone has rallied behind it," said Lisa Gray, Executive Director of the Simsbury Chamber of Commerce, "We are so appreciative of the companies and individuals who have already invested in making this what is sure to be one of the most popular cultural events in the region." The goal of the art trail is to encourage more people to walk along Main Street and support local businesses. There are maps of the trail at each sculpture, and visitors are encouraged to touch, climb on and take selfies with the art works (#simsburyarttrail). The sculptures will be on display through September 15. On June 3, the Simsbury Chamber of Commerce is sponsoring free guided tours of the art trail from 2:00 PM – 5:00 PM. 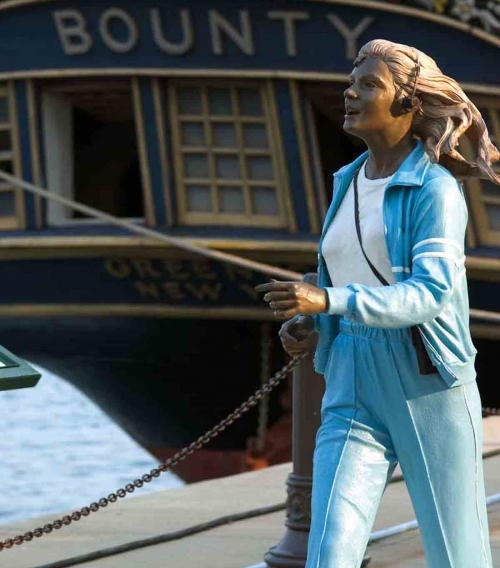 Three options will be offered: walk 2.2 miles of the trail and see 19 sculptures, bike 4.2 miles and see 22 sculptures or bike 17 miles and see all 32 sculptures. On June 12, the Simsbury Free Library is holding an old-time ice cream social and Art Trail scavenger hunt from 3:00 PM - 5:00 PM. Prizes will be awarded, and it’s free and open to the public. For more information on these events, visit http://www.simsburyarttrail.com/. My World by Seward Johnson © 1989 The Seward Johnson Atelier, Inc.
We’ve said it before and you’ll hear us say it again and again – proper hydration is vital for performance. Providing runner support on our courses is a responsibility we take very seriously. Every event distance page has a course amenities section that outlines exactly where and what that support entails. We are pretty excited to be updating these hydration offerings for all of our 2018 half marathons, including this weekend’s MysticHalf Marathon & 10K. Sample nuun electrolytes flavors post-race in Mystic. 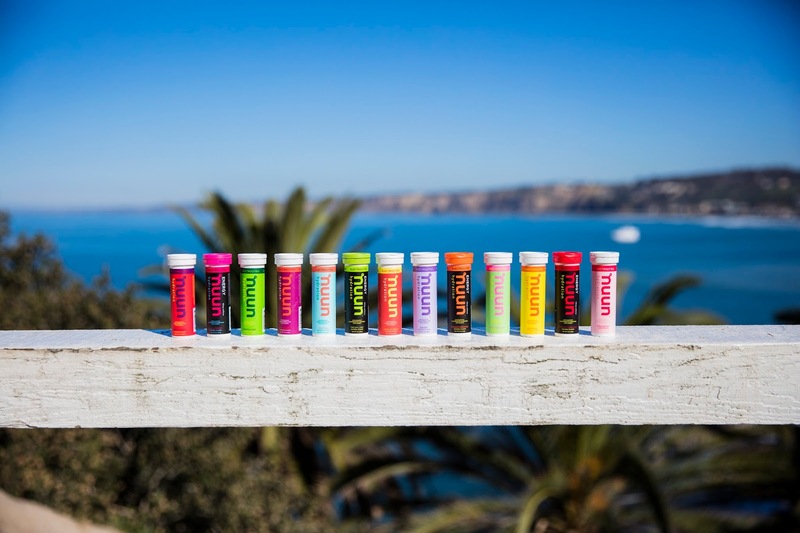 You’ll see the nuun team after you cross the Mystic finish line too. Grab a sample packet and try other flavors or talk to their crew in the post-race area to get any questions answered and learn about the products. We’ll update our amenities listings for upcoming half marathons with details on the course offering, but expect to see nuun performance on course at the Eversource Hartford Marathon too. Now in its 16th year running through the serene roads of Simsbury, the Amica Iron Horse Half Marathon, 10K and 5K on June 3rd has a distance for everyone and offers a great family fun day for spectators too. Join us in a free course preview fun run with Team HMF on Thursday, May 24, at 6:00 pm. Sign-up form and details below! The 4-mile fun run will cover a portion of the course along the trail. Team HMF co-captain Susan Rubenstein will lead. Following the run, all are welcome to join the group at Iron Horse Pub for happy hour. Susan Rubenstein has been a resident of Simsbury for over 30 years and is a co-captain of Team HMF. She fell in love with Simsbury at first sight, decided to raise her family there and finds its scenic roads, flowered bridge, farms and beautiful trails have only added to her love of running. After many years, many miles and many races, Susan still enjoys weekly runs with friends and loves how Simsbury has kept its beauty and charm as it has grown into a thriving community. Susan enjoys working and teaching in Simsbury at one of the local gyms and has made a career in health and fitness with her business, Yoga Be Fit. She coaches runners, volunteers for Girls on the Run, teaches town employees and local residents in various fitness classes and supports runners’ training. 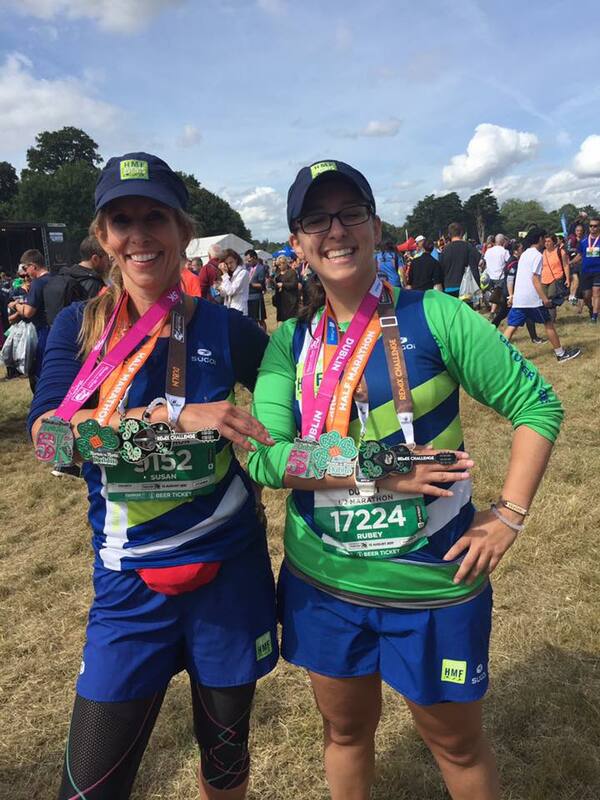 As the first Mother/Daughter team for the Team HMF ambassador program 4 years ago, Susan shares her love of running with her daughter, Elanna. Together they are seen at many HMF races running, volunteering and sharing time together. When Susan's daughter Mindy visits from NYC, the three of them always find a race they can enjoy together. Susan lives in Simsbury with her husband, Kenny, and two dogs, Rudy and Delilah. Tip of the Month: Mix it Up! We are driven to increase running miles when training, but it’s important to mix up workouts to help improve race day performance. Coach Caitlin Roston from soundRUNNER explains what cross training is and why alternative forms of exercise can make us better runners. What is cross training for runners? It’s a day where you focus on another fitness activity, such as spin class, bootcamp, HIIT or going to your local gym for a lifting session, and give yourself a break from pounding the road. Most running plans call for at least one day of cross training per week. Why is cross training important to add to your running plan? Cross training reduces injury, helps with recovery and builds muscle. For example, spinning is low impact on the body and knees, but it builds up the slow and fast twitch muscles in your legs, works your lower back and abdominals and strengthens your knees. 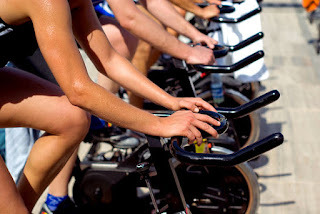 As a runner you already have so much wear and tear on the knees, so spinning gives them a break while improving strength, speed and aerobic power. Why do we need cross training? Many runners fail to use their glutes and hamstrings when they strike and push off from the ground due to underdevelopment. Adding 1 or 2 days of cross training into your running plan allows you to build stronger glutes, hamstrings, quads, knees, hips and ankles.Cross training does not slow you down as a runner, but helps increase your speed, strength and endurance. If you are looking to improve your fitness or just want to mix up your workouts, add a cross training day and enjoy the results! Thanks to our friends at soundRUNNER for providing this guest post. We'll be bringing you tips here on the blog every month from experts in the community - please comment below what you want to hear about.